Someone recently intimated that I should leave behind all I have learned the last five years and return to the church…. I was speechless! It would be like quitting high def color TV and returning to the monstrous black and white sets of two generations ago! Only when I began actually doing what the Torah says, i.e., keeping Shabbat and the feasts, eating clean, etc, did the Bible really come alive. Then, like living color, I began to see and understand parts that I only thought I understood before. Do you want blessings, wisdom and understanding? 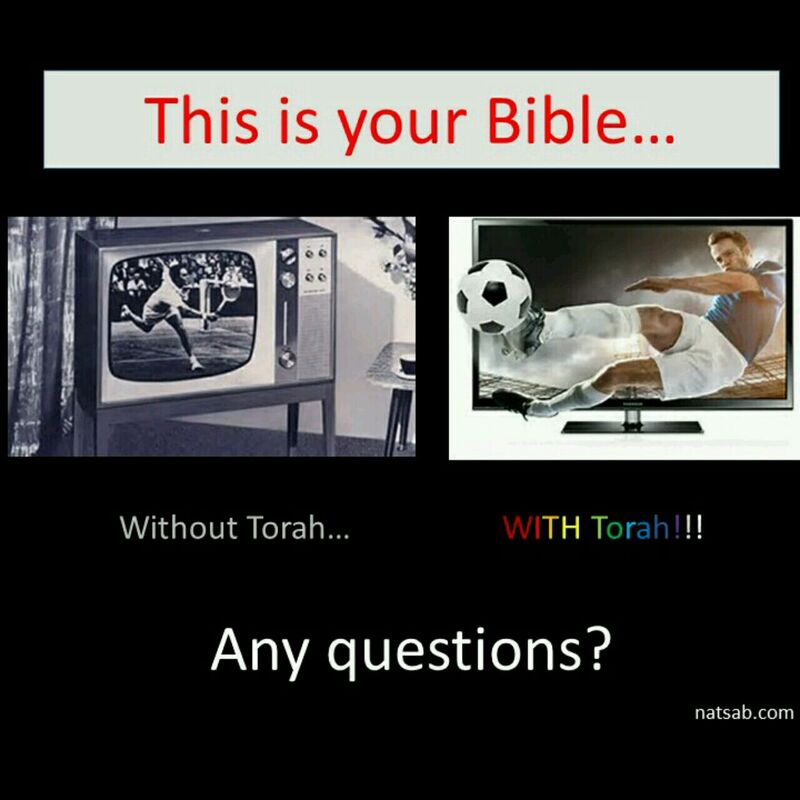 Begin to walk Torah. Anything else is just grainy black and white. But his delight is in the Torah of Adonai, and on His Torah he meditates day and night. He will be like a planted tree over streams of water, producing its fruit during its season. Its leaf never droops— but in all he does, he succeeds. This entry was posted in A Thought..., Visual Scripture and tagged 20/20, bible, Hebrew Roots, high definition, plasma TV, Torah. Bookmark the permalink. Love it! Or, ‘living life with eyes wide-opened’:-) Blessings. Phil.